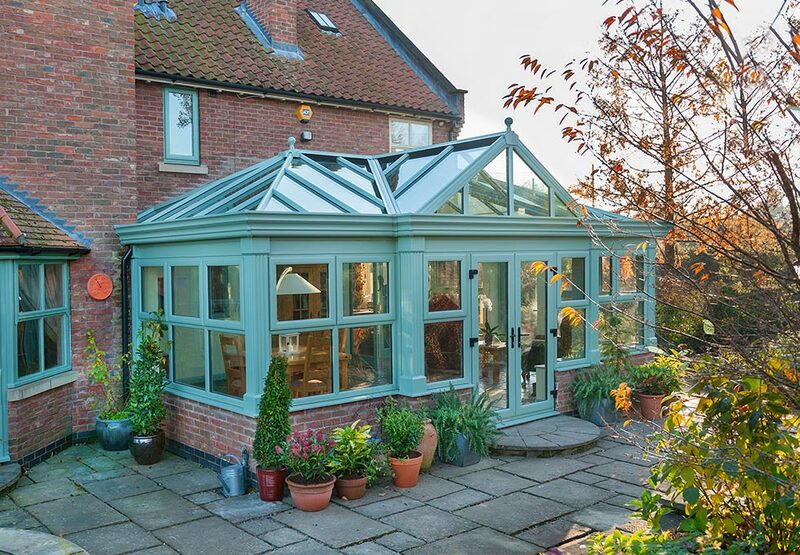 An ideal way to add both light and space to any style of home, orangeries act as the perfect halfway point between full home extension and traditional glazed conservatory. 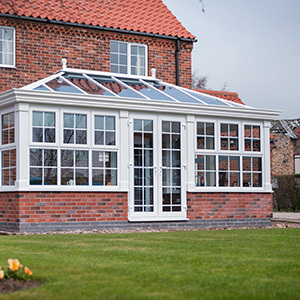 Unlike standard conservatories, they feature robust, thicker pillars and a partially glazed roof which helps to create a welcoming and comfortable living space, allowing large amounts of natural daylight to enter. Orangeries typically utilise more brickwork compared with a conservatory, feeling much more like a permanent addition to the home. More easily insulated to allow for use 365 days a year, they are characterised by a flat roof and atrium top, and can be utilised for any home application including dining rooms and play spaces. Contact the South Wales Experts today! Orangeries from A-Rated Home Improvements are available in a range of colours and woodgrain foil finishes, combining the added space of a conservatory with the sophistication and breath-taking style that only an orangery from us can offer. The style is perfect for those wishing to retain privacy, or for those who do not wish to be surrounded by vast amounts of glazing. Whether you live in a traditional property or a more modern home, we can supply and install a range of orangery designs to suit all property types, though our traditional-style orangeries will look good with any home. Our team of professionals will work with you during your orangery installation to help colour match a brickwork tone and style that seamlessly merges with the existing aesthetic of your main property.